This year, BC Sanjha Smagam will commemorate the Shaheedi (martyrdom) of Sri Guru Arjan Dev Sahib Ji, the fifth enlightener, as well as the Shaheeds (martyrs) of 1984. 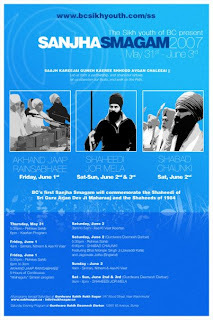 BC Sanjha Smagam 2007 will be held at Gurdwara Sahib Sukh Sagar, New Westminster from May 31 – June 3. It is going to be held in collaboration with the Shaheed Jor Mela organized by Sikh Vision Foundation. Many of you may be aware of what has been happening with regards to the formation of a new group/cult; known as the Sacha Sauda movement in India. 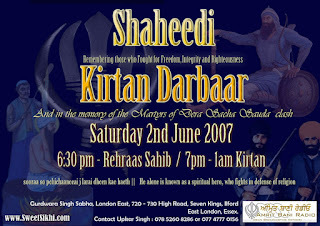 If you are free, please come along and enjoy a night full of beautiful kirtan (with Sikhi to the max translations). Ravidasia, Khatri, Jatt, Tarkhan.... The labels that divide us are endless. Caste, gender, class, and power tear apart our Qaum, our Gurdwaras, and our families. How do we overcome? 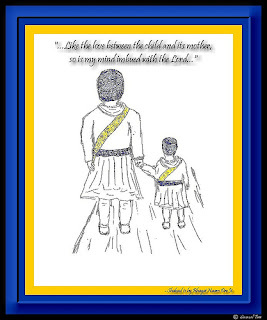 This year at the 8th Jakara, we remember and reflect on the Sarbat Khalsa. Plan on attending and REGISTER RIGHT NOW -- www.jakara.org -- June 21st - 24th. TELL YOUR FRIENDS and FAMILY and post where you can! 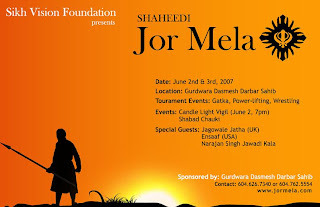 The BC Sikh Community cordially invites you to: SHAHEEDI JOR MELA 2007 International Gatka, Power-Lifting & Wrestling TournamentA Sikh Vision Foundation event hosted at Gurdwara Sahib Dasmesh Darbar, Surrey, BC. With competitors from BC, Alberta, Ontario, California, Arizona, Washington DC, and other locations. Sikh Vision Foundation will be holding their second Sikh youth sporting event for competitors around North America. Sikh youth from around the continent will be invited to partake in sporting events such as, Gatka, Wrestling, and Power-lifting. This is a great opportunity for everyone to come participate in a tournament displaying skill, concentration, and body control. Gatka has a long and rich history, dating back to the times of Guru Hargobind Sahib Jee. Gatka offers some unique benefits not offered by other conventional sports programs. For example, the centuries old traditions of martial arts training have resulted in time-proven teaching methods that, coupled with modern research and innovations, offer a learning environment that can be beneficial for all ages.It would be a great honor to have your skills at the tournament competing in gatka, power-lifting, and/or wrestling. Naam Dayv is in love with the Lord. by Guru's Grace, duality is eradicated. Such love never breaks; through it, the mortal remains merged in the Lord. so is my mind imbued with the Lord. Prays Naam Dayv, I am in love with the Lord. The Undeceiveable is not deceived by deception. He cannot be wounded by any dagger. Let the reading of your prayer book be the oil, and let the Fear of God be the wick for the lamp of this body. 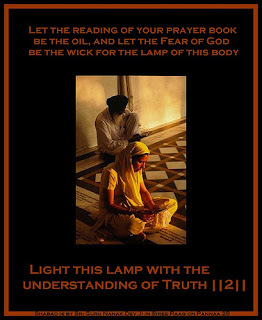 Use this oil to light this lamp. you shall find peace, doing seva (selfless service). and you shall be given a place of honor in the Court of the Lord. 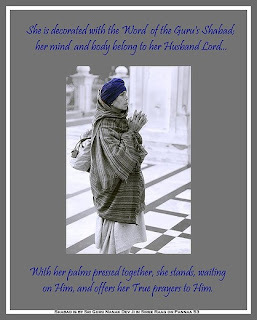 She is decorated with the Word of the Guru's Shabad; her mind and body belong to her Husband Lord. With her palms pressed together, she stands, waiting on Him, and offers her True prayers to Him. 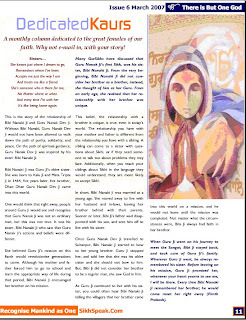 Recently Daughters of the Khalsa has teamed up with Sikh Speak to write a monthly column on Sikh Women. A woman is a spirit that can attain five great personalities..
How can we ridicule the concept of women when our Guru Sahibans addressed Akal Purakh Sahib as the husband and portrayed themselves as a woman on countless occasions? He commented that a woman's heart is komal (soft) and kind. Sikhs are forbidden from keeping any relations with ‘kurimars’ (those who kills their female children) yet it is sad to see that in Punjab every tenth house is a ‘kurimar’." He blamed the ‘snake of dowry’ for making these people do such evil things. On one hand a father is sending his daughter in a brand new car bought on loans and on the other hand he is getting ready for his funeral because of those loans. By killing innocent girls in the womb, we are killing a spirit that can attain five great personalities: a daughter, a sister, a wife, a mother and a grandmother. We are acting like God not realizing that this spirit can have great karams written on her forehead and that she can change our lives for the better. Why don't we teach and guide our daughters from our great history? 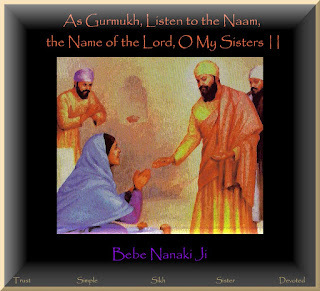 They can be great sisters like Bebe Nanaki Ji who had unequivocal trust in Guru Nanak Dev ji when no one else did and became the very first Sikh of Guru Sahib. There were great mothers like Mata Tripta Ji .How great she must be that she gave birth to Guru Nanak Dev Ji and thus did not incur any worldly desires. She was truly ‘tripat’ as her name implies, satisfied in life. There was Mata Khivi Ji, Bibi Ji was like a big tree with a cool and sweet shadow, who raised two great daughters Bibi Amro Ji and Bibi Anokhi Ji. 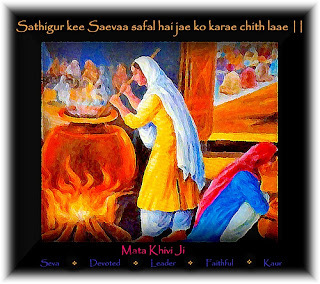 Mata Khivi Ji took her husbands, Guru Angad Dev Ji teachings seriously, she made it clear that one must earn one's living through one's own labour. There were daughters like Bibi Bhani Ji who was so humble and polite to her father, Guru Amar Das Ji, and thus, Bibi Bhani Ji's son Guru Arjan Dev Ji inherited great qualities. There were grandmothers like Mata Gujar Kaur (Gujri ji) who was unwavering, and had an enormous loving heart. 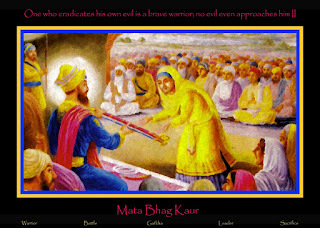 Guru Hargobind Sahib Ji told his daughter Bibi Veero Ji when she got married to never let a blemish come on this Guru-kul (Guru’s family). Imagine how great she must have been that all five of her sons became Shaheed on the battlefields! Finally, what about the Mothers of the Punj Pyare! It was through their selfless courage, absolute love, and total fearlessness that the Khalsa came to life. But do we know the names of their mothers and what their mothers did to raise them with such a consciousness? Everyone has the Light of the Divine within them. That is never the question. But to live that Light unto death - that is a matter of training and the mother is the first training ground of the soul. What values did their mothers instill in them? How did their mothers teach them? What did they teach them? He who did the work, is accepted as Guru; so which is better - the thistle or the rice? The Righteous Judge of Dharma considered the arguments and made the decision. Whatever the True Guru says, the True Lord does; it comes to pass instantaneously. Guru Angad was proclaimed, and the True Creator confirmed it. Nanak merely changed his body; He still sits on the throne, with hundreds of branches reaching out. Standing at His door, His followers serve Him; by this service, their rust is scraped off. He is the Dervish - the Saint, at the door of His Lord and Master; He loves the True Name, and the Bani of the Guru's Word. Balwand says that Khivi, the Guru's wife, is a noble woman, who gives soothing, leafy shade to all. The faces of the Guru's Sikhs are radiant and bright; the self-willed manmukhs are pale, like straw. The Master gave His approval, when Angad exerted Himself heroically. Constantly listening to the Ambrosial Gurbani in the heart, it becomes pleasing to the mind. As Gurmukh, listen to the Naam, the Name of the Lord, O my sisters. My mind and body are filled with divine love, and great sadness. In the love of duality, the mortals wander through poisonous Maya. The Lord Himself inspires us to drink in the Lord's Ambrosial Elixir. Emotional attachment to Maya is created by my God; He Himself misleads us through illusion and doubt. The self-willed manmukhs perform their actions, but they do not understand; they waste away their lives in vain. O mind, chant the Naam, the Name of the Lord, and find peace. Doubt departs, and fear runs away, when you focus your consciousness on the Lord's Feet. The Gurmukh practices the Shabad, and the Lord comes to dwell within the mind. 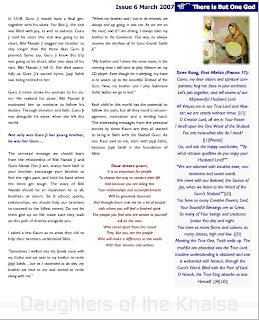 Naam Dayv the printer, and Kabeer the weaver, obtained salvation through the Perfect Guru. Those who know God and recognize His Shabad lose their ego and class consciousness. 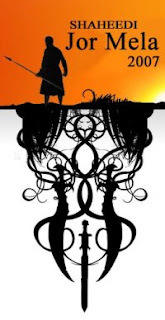 The demon's son Prahlaad had not read about religious rituals or ceremonies, austerity or self-discipline; he did not know the love of duality. Upon meeting with the True Guru, he became pure; night and day, he chanted the Naam, the Name of the Lord. The followers of the six different life-styles and world-views, the Yogis and the Sanyaasees have gone astray in doubt without the Guru. If they serve the True Guru, they find the state of salvation; they enshrine the Dear Lord within their minds. The Pandits, the religious scholars, read and argue and stir up controversies, but without the Guru, they are deluded by doubt. They wander around the cycle of 8.4 million reincarnations; without the Shabad, they do not attain liberation. 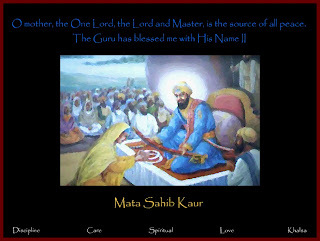 In the Sat Sangat, the True Congregation, the Name of the Lord wells up, when the True Guru unites us in His Sublime Love. I offer my mind and body, and I renounce my selfishness and conceit; I walk in Harmony with the Will of the True Guru. He alone is a Brahmin, who knows the Lord Brahma, and is attuned to the Love of the Lord. God is close at hand; He dwells deep within the hearts of all. How rare are those who, as Gurmukh, know Him. Every day, he rises early, and brings a fresh clay pot; he passes his life embellishing and glazing it. Who in our family has ever chanted the Name of the Lord? O mother, the One Lord, the Lord and Master, is the source of all peace. The Guru has blessed me with His Name. BABBA: One who knows God is a Brahmin. A Vaishnaav is one who, as Gurmukh, lives the righteous life of Dharma. One who eradicates his own evil is a brave warrior; no evil even approaches him. Man is bound by the chains of his own egotism, selfishness and conceit. The spiritually blind place the blame on others. whatever He is to give, He continues to give - let anyone go anywhere he pleases. The wealth of the Naam, the Name of the Lord, is a treasure to spend; it is the capital of His devotees. With tolerance, humility, bliss and intuitive poise, they continue to meditate on the Lord, the Treasure of excellence. Those, unto whom the Lord shows His Mercy, play happily and blossom forth. Those who have the wealth of the Lord's Name in their homes are forever wealthy and beautiful. 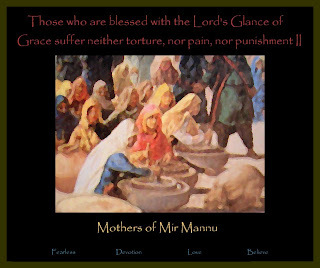 Those who are blessed with the Lord's Glance of Grace suffer neither torture, nor pain, nor punishment. Concentrate upon the Guru-word considering it as the figure of the Guru who is always with you. Due to the knowledge of the Word, the gurmukh finds the Lord always near and not far off. But the seed of karmas aprouts according to the previous karmas. 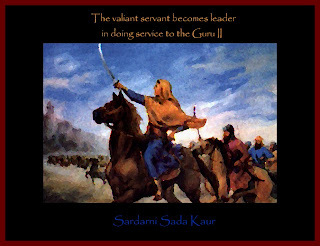 The valiant servant becomes leader in doing service to the Guru. God, the supreme store house is always full and omnipresent. His glory shines forth in the holy congregation of the saints. The brightness of myriads of moons and suns is subdued before the light of the holy congregation. Millions of Vedas and Puranas are insignificant before the praises of the Lord. The dust of the feet of the beloved of the Lord is dear to the gurmukh. Sardarnee Darshan Kaur was a very brave and daring woman who had a great enthusiasm for Panthic affairs. Her husband Sardar Harnam Singh is also a very spirited individual. Darshan Kaur jee's father was Sardar Partap Singh and she married into a family from village Rajat Dist. Campbellpore in 1947. 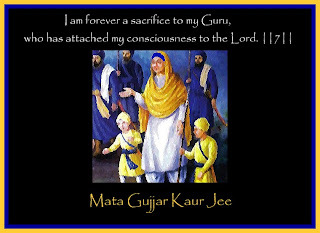 Bibi jee had a deep love with the Guru Ghar and would always swerve Gursikhs who would come to her home. People were all awe struck at the humble service she would give. Bibi Darshan Kaur would never eat without first completing her nitnem. During the 1960s Punjabi Suba Agitation, she, along with her 3-year-old daughter courted arrest and spent six months in jail. In the Kanpur massacre, bibi jee was accompanying the march with fervour and fearlessness. The Nirankaris' bullets struck her once in the chest and twice in the legs but she did not step back.